Beautiful white sand beaches, breathtaking ocean views, and the world’s second largest coral reef, all of these and more are available at Ambergris Caye, Belize’s premiere tourist destination. Whether you are interested in adventure or relaxation, Ambergris Caye has everything one could want out of a tropical vacation destination. Ambergris Caye is an island located in the tropical, Central American nation of Belize. It is the largest island in this country, at 25 miles long and 1 mile wide. The ancient Mayans were the first to inhabit this land, and some believe that they even dug the channel that separates the caye from the mainland. The island remained largely uninhabited until the mid-1800s, when mainlanders moved to the island for its security and good fishing. 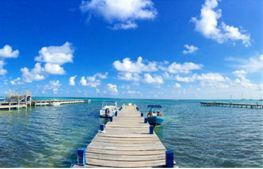 Today, Ambergris Caye has approximately 13,000 inhabitants, the majority living in its largest settlement, San Pedro Town. The island is named after the substance ambergris, a wax like material that comes from sperm whales and is used in the manufacture of perfume. Ambergris Caye has much to offer in the way of relaxation. Probably its greatest attraction is the coral reef, the world’s second largest, located off of its eastern coast. 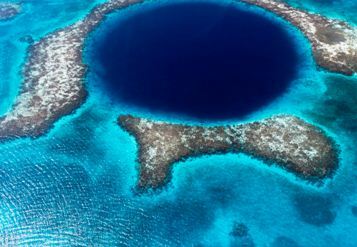 The Belize Barrier Reef is 190 miles long and one of the most beautiful sights you will find in all of Central America. In addition to this stunning wonder of nature, the island offers picturesque, white sand beaches, ideal for lounging in the shade. If you enjoy a nice stroll through a town and to do a little shopping, San Pedro Town will not disappoint. This quaint town offers much in the way of tropical souvenirs and cuisine. It’s not just all relaxation on Ambergris Caye, there is also much in the way of excitement. Ambergris Caye is a major Central American skydiving destination. Due to its amazing diving, snorkeling and scuba diving experiences, Ambergris Caye has become known as the diving and water sports capital of Central America. One popular scuba diving location is Shark Ray Alley. This cove is inhabited by a healthy population of, you guessed it, sharks and sting rays, which visitors can don scuba gear and swim around with. And don’t worry, it’s a very safe excursion. Whether you’re searching for relaxation and the appreciation of the world’s second largest coral reef, or you’re looking for excitement in this Central American skydiving and snorkeling destination, or any number of different activities in between, Ambergris Caye is right for you. This tropical vacation destination will be sure to satisfy you and leave you wanting more. Adam is a recent graduate of Allegheny College. There he majored in Economics with a minor in Spanish. 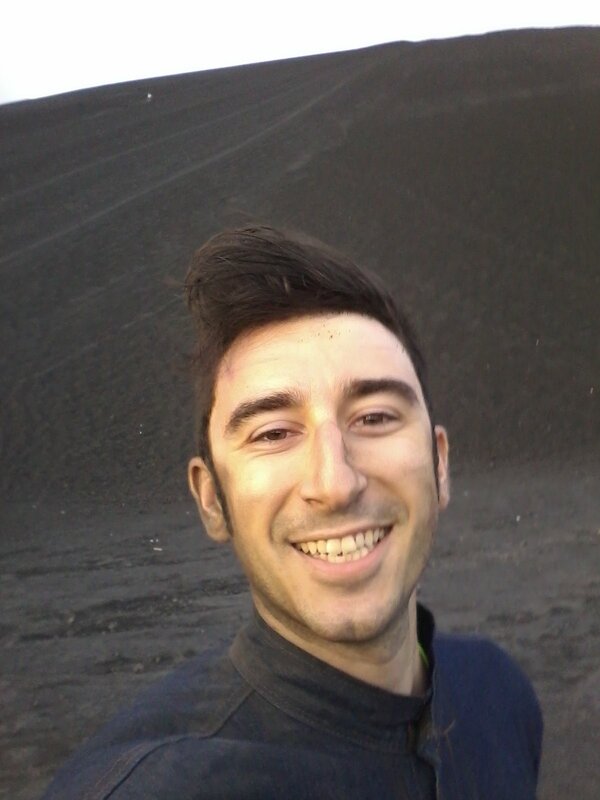 He has always been interested in traveling abroad and is thrilled to have recently taken up residence in Managua, Nicaragua to work as an intern for ECI Development. He is excited to take in all of the culture of this wondrous nation.